jahi satrum mahabaho kamarupam durasadam. 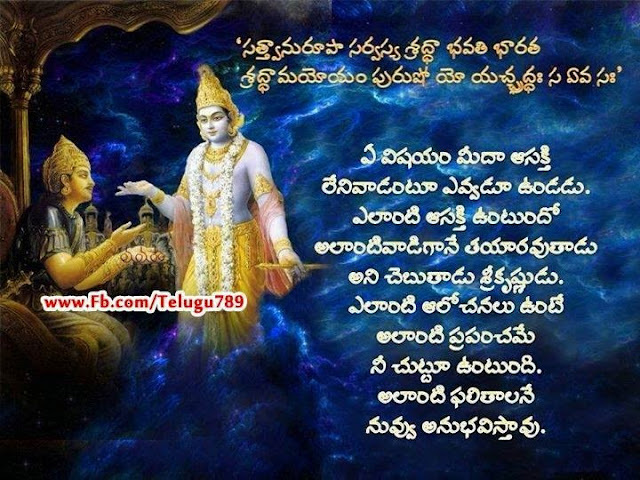 kamarupam durasadam = destroy the enemy which is wicked and in the form of lust. The method of destroying the great enemy known as kama or lust is learned through the knowledge of Vedic scriptures received by the words of the spiritual master. Controlling the five senses is the key step allowing one to benefit from this Vedic knowledge. Without restraint of the senses one has no possibility of conquering kama. The senses are superior to the physical body, the mind is superior to senses, the intellect is superior to the mind and the atma or soul is superior to the intellect. Moksa or liberation from the cycle of birth and death is not possible from studying various verses in diverse Vedic scriptures in different contexts. In the Gunopasamhara section of Brahma Sutras it is stated that the Supreme Lord should be meditated upon after recollecting in the mind the entire range of attributes and qualities possessed by the Supreme Lord. 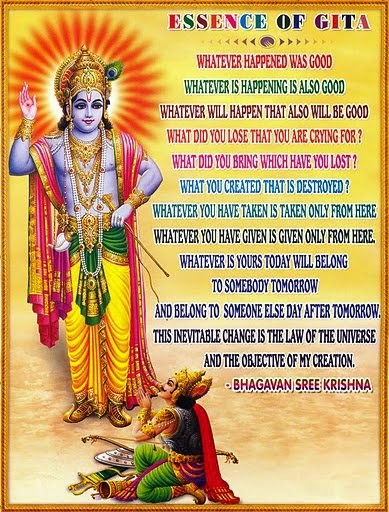 In the Vedas which are apaurusaheya which means not of human origins and also in the Mahabharata and Garuda Purana it is stated that: Whatever attributes have been revealed in the Vedic scriptures regarding the Supreme Lord Krishna and His authorised incarnations and whoever is able to actually perceive Him realising these attributes in their hearts, in such persons alone does bhakti or devotion become established and never to others. Therefore the Supreme Lord Krishna should be understood to be superior to everything as He existed before the creation of everything. One who fully understands this and acts in accordance with this understanding is eligible for moksa and never others. The previous verse is not referring to the living being because the words bhudher yah paratas tu sah mean: that which is superior to the intellect is the atma. This is because the desire for sense gratification is overcome by atma tattva or soul realisation and also without perceiving the Supreme Being how will the living being expect to overcome kama. Thus it is clear that knowledge pertaining to the Supreme Lord is what is important. The word atmanam means the mind and the word atmana means the intellect and they are for realising the atma. Among living beings the demigods are superior to humans. Indra is the chief of the demigods. Shiva the presiding deity of the mind and ego is superior to Indra. Above Shiva is Brahma the presing diety of the intellect and discrimination. Superior to Brahma are all the avatars expansions of Lord Krishna in the spiritual realms and superior to them is the Supreme Lord Krishna Himself. There is nothing equal or superior to Krishna. Knowing the order of gradation and destroying the powerful enemy of kama at the very root one becomes qualified for moksa and attain the spiritual worlds of Lord Krishna which are imperceptible to the vision and conception of humans. 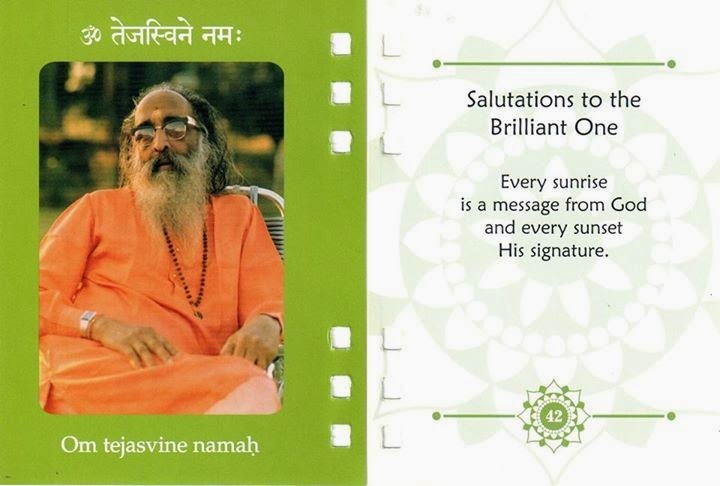 An important purpose of Vedic scriptures is to show the order of gradation. The function of the higher deity cannot be performed by a lower deity. To show their area of predominance they each have their respective places and assigned function. In some cases a deity on a lower level is seen to be relegating the duties of a higher level; but this can be understood in the same way that a son sometimes relegates the duties of a father. The Shabda Nirnaya states: traditionally the use of such similes repeatedly are able to convey the conclusive meaning for comprehension. The Brahma Tarka states: that where similar examples are repeated the similarity of their meanings is understood and becomes conclusive from continuous hearing. Now this topic is being concluded. Modifications such as desire which is instigated by the senses and agitates the body and lust which is inflamed by the sense objects and overpowers the mind are both only operating under the intellect. But the atma or soul is not subject to modification and is the witness to all these changes. Thus realising the atma which is transcendental to all these one should control the sense by the atma, steer the mind by the atma and direct the intellect by the atma. Although kama or lust is extremely difficult to conquer and exerts very powerful activity with firm conviction and determination one must completely terminate and eradicate this most pernicious enemy in the form of kama and free oneself from the ravages of delusion. Worshipping the spiritual masters in disciplic succession whom with devotion through the performance of prescribed Vedic activities have attained moksa or liberation and have attested that the eternally blissful Supreme Lord Krishna, the originator of all should be propitiated through all activities. So it should understood that kama or lust is able to dominate even the intellect and thus is antagonistic to jnana yoga or the cultivation of Vedic spiritual knowledge. So one must with firm resolve restrain the senses right from the very beginning and keeping the mind resolutely established in the atma or soul, destroy this powerful enemy known as kama eradicating it at the very root. Now in conclusion Lord Krishna establishes the fact that one should try to their utmost to destroy the powerful enemy known as kama or lust. Knowing that kama is the mightiest enemy one must by withdrawing the senses, keeping the mind steady and the intellect resolute in sattva guna the mode of goodness then slay this enemy kama which will attack your mind and senses in various ways causing one to fall into delusion before oen becomes powerless to resist. Kama is extremely difficult to overpower and is tenacious and formidable yet if one dedicates all actions to Lord Krishna with their mind fixed on Him they can overcome it. So knowledge of Vedic wisdom and meditation on the Supreme Lord are combined the pancea to neutralise kama from its location in the senses, mind and intellect and then destroy the great enemy known as kama. This path of selfless action unattached without conception of rewards should be practiced according to one's capacity and knowledge as a means of gradually achieving renunciation. Thus ends Slokam-43, Chapter-3, Karma-yogam, and discussions. Next : Chapter-4. ( Jnana-karma-sanyasa-yogam ).